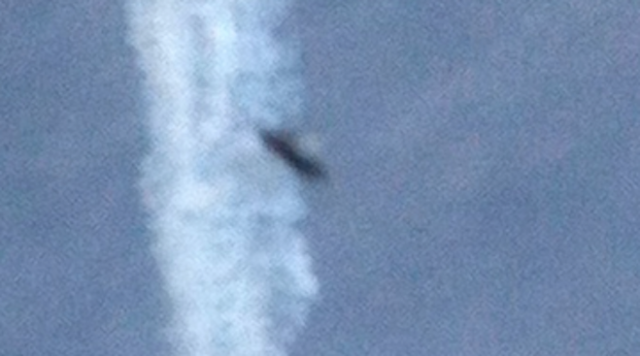 UFO SIGHTINGS DAILY: UFO Shows UP To Catch UK Air Show And Surprises Spectators, Photos, UFO Sighting News. 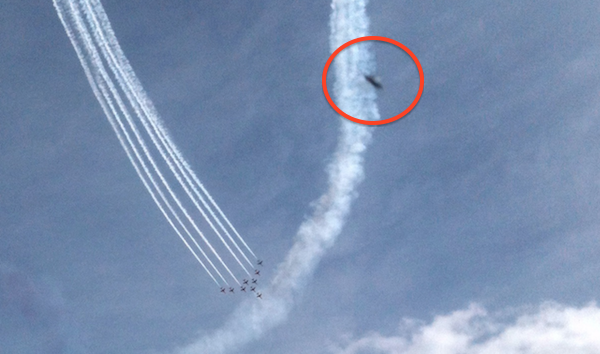 UFO Shows UP To Catch UK Air Show And Surprises Spectators, Photos, UFO Sighting News. This UFO was reported today at MUFON, but it occurred back in 2013. It shows a dark disk flying past a jet stream in the air, which seems to be analysing the pollutants from the jets. UFOs are often attracted to aircraft, because they have the newest in flight technology and seeing the jets show off their capabilities is of high interest to some aliens. This way they can accurately predict when we will have public space craft carrying us from planet to planet. Algorithms predicting the future...they rely on this too much, and one day, we may too. 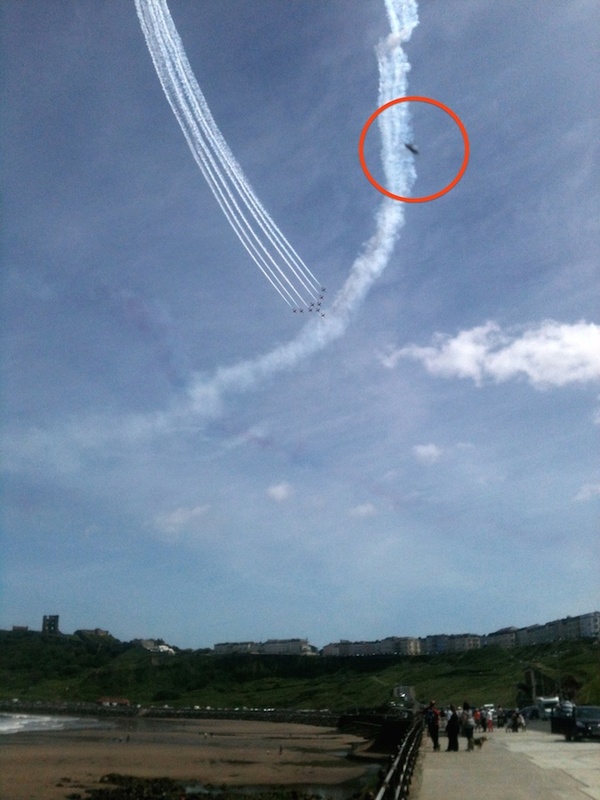 My father in law was watching an display team flying in formation over the north bay in Scarborough, UK. He took a few shots with his iPhone and when he reviewed them later that day he noticed the object in the picture. He did not notice it at the time and it did not show up in any other frames. I imported the picture into iPhoto on my Mac and was able to enlarge the image to show the approx size and shape in more detail. There was many other people watching the display and it is highly likely that this object was caught by another person with a camera.